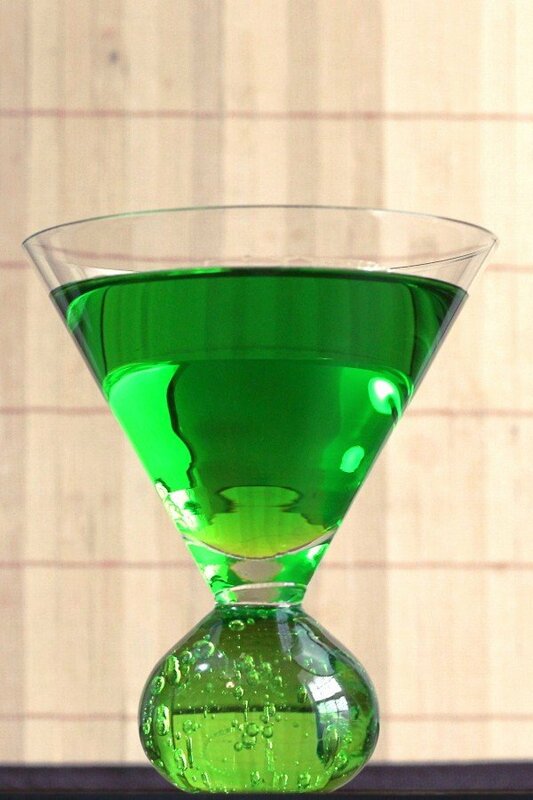 The Kermit Cocktail is so named because it’s green, like the Muppet. But there the resemblance ends. The predominant flavor is banana, with a nice orange tang from the blue curacao. 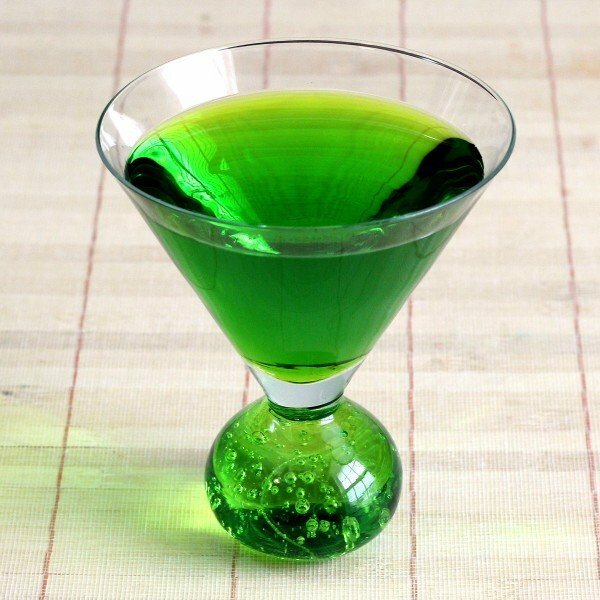 If you’re wondering why the Kermit cocktail features two banana liqueurs (Pisang Ambon is a specific banana liqueur; the other ingredient can be any brand), it’s for color. 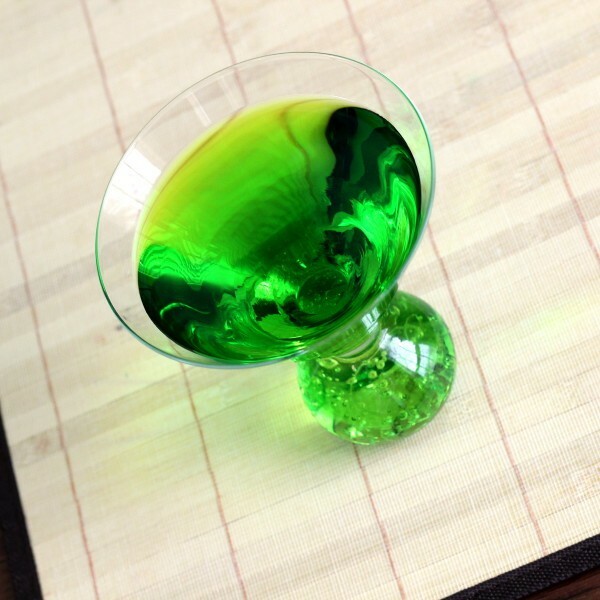 The drink would taste great with an ounce of any banana liqueur, but that would make it more chartreuse in color. To get the Kermit color, you need the Pisang Ambon’s bright green, blended with the blue curacao and the yellow of any other brand of banana liqueur. Unlike a lot of liqueur-based drinks, a Kermit goes well with meals – in addition to any other drinking situation you care to put it. Shake everything together with ice and strain into a chilled cocktail glass.